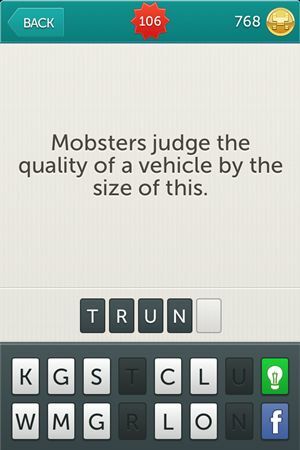 I don’t know about you but we can’t stop playing Little Riddles and we like it so much that we thought we should write Little Riddles Answers for you so that you too can enjoy the game with us and help you when you have some trouble with the answers. Today we have for you Little Riddles Answers Level 91 to Level 120, but if you were looking for the previous levels we have those too. 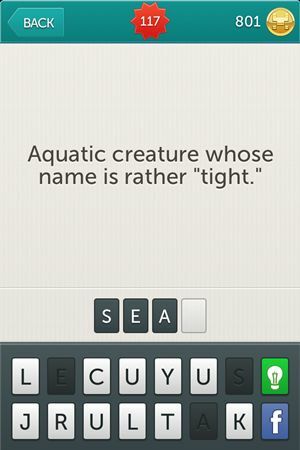 Just look into Little Riddle Answers Level 61 – Level 90 and you will get what you need. 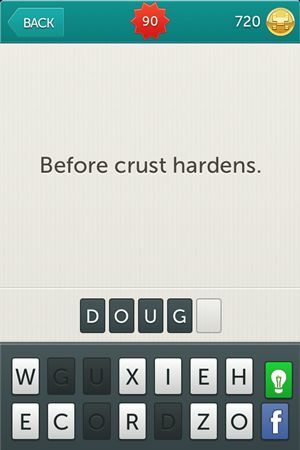 If you want all the answers you just have to go to Little Riddles tag. 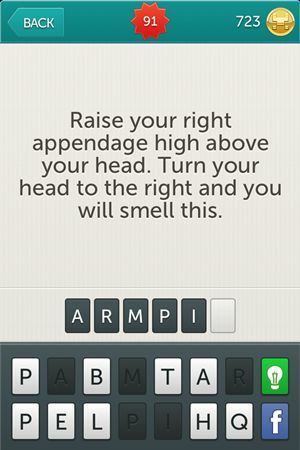 Riddle: Raise your right appendage high above your head. Turn your head to the right and you will smell this. 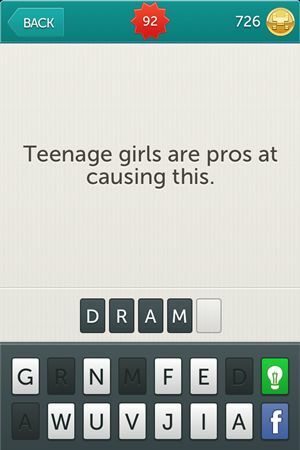 Riddle: Teenage girls are pros at causing this. 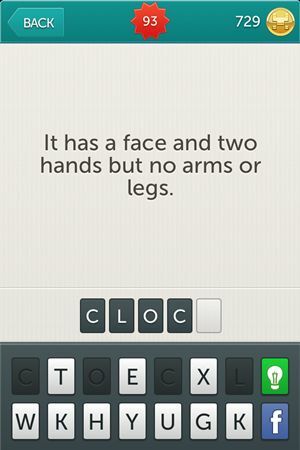 Riddle: It has a face and two hands but no arms or legs. 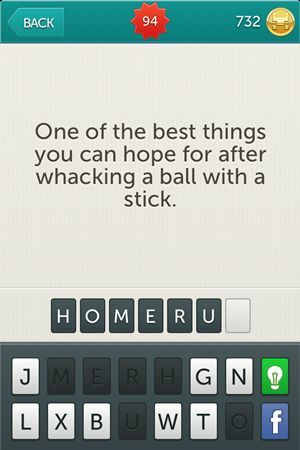 Riddle: One of the best things you can hope for after whacking a ball with a stick. 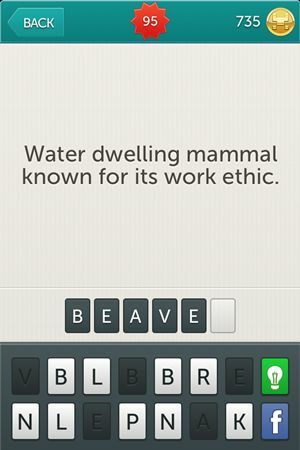 Riddle: Water dwelling mammal known for its work ethic. 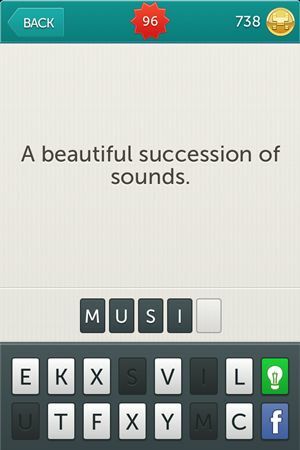 Riddle: A beautiful succession of sounds. Riddle: Mary’s child slept in one of these. 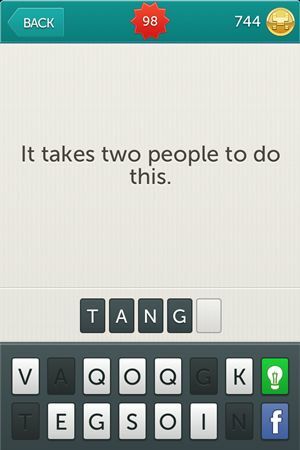 Riddle: It takes two people to do this. 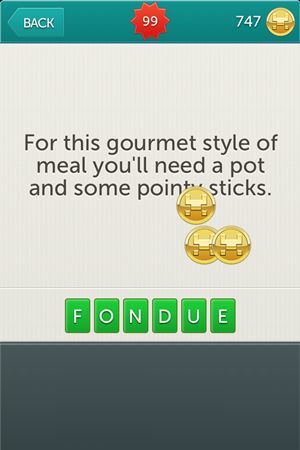 Riddle: For this gourmet style of meal you’ll nee a pot and some pointy sticks. 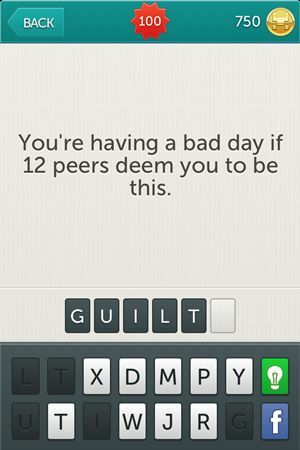 Riddle: You’re having a bad day if 12 peers deem you to be this. Riddle: A small paradise surrounded by dry heat. Some have Wondewalls. 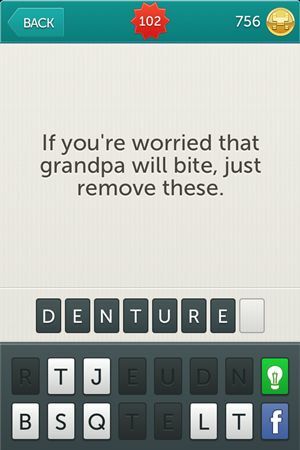 Riddle: If you’re worried that grandpa will bite, just remove these. 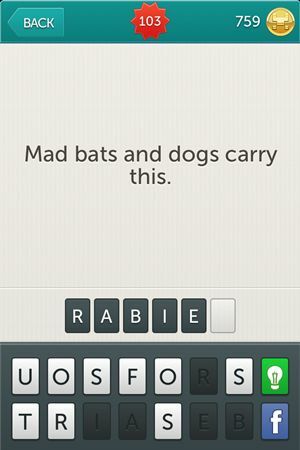 Riddle: Mad bats and dogs carry this. 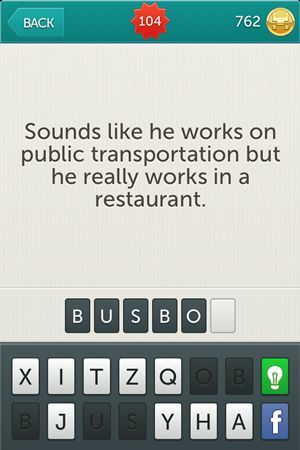 Riddle: Sounds like he works on public transportation but he really works in a restaurant. 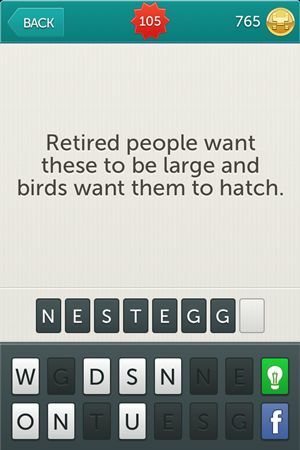 Riddle: Retired people want these to be large and bird want them to hatch. Riddle: Mobsters judge the quality of a vehicle by the size of this. 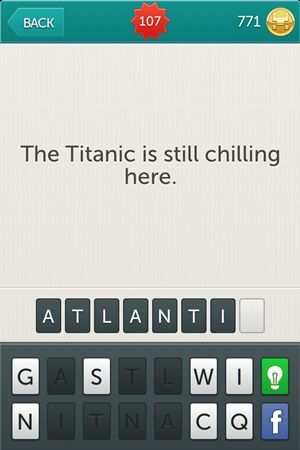 Riddle: The Titanic is still chilling here. 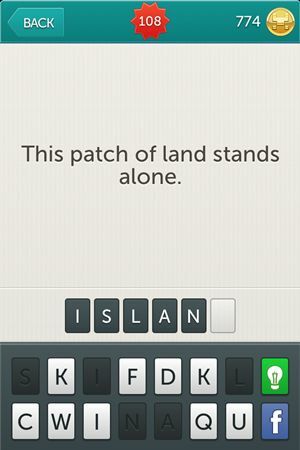 Riddle: This patch of land stands alone. 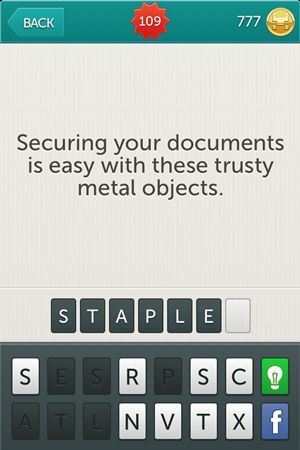 Riddle: Securing your documents is easy with these trusty metal objects. 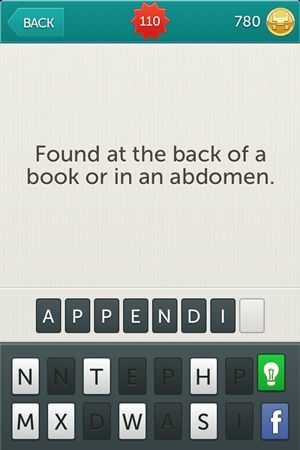 Riddle: Found at the back of a book or in an abdomen. 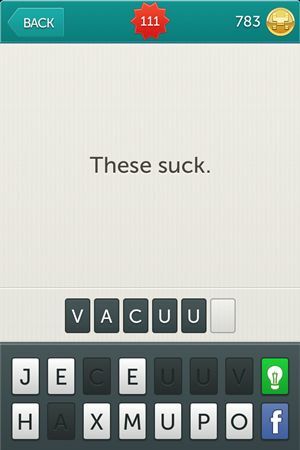 Riddle: A gentleman whose offspring have successfully produced offspring of their own. 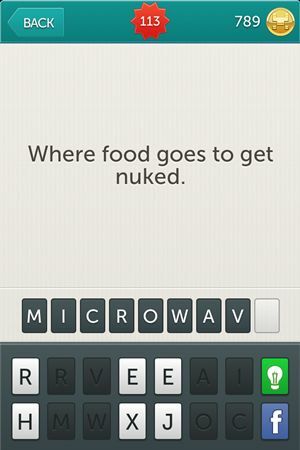 Riddle: Where food goes to get nuked. 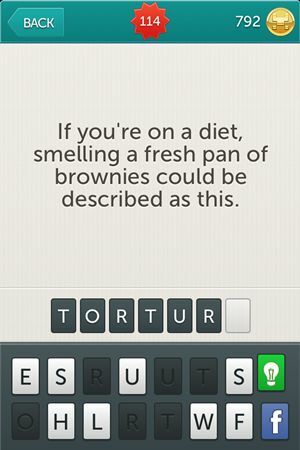 Riddle: If you’re on a diet, smelling a fresh pan of brownies could be described as this. 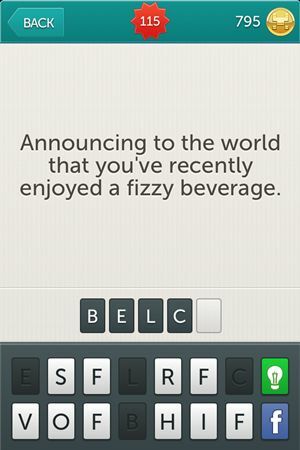 Riddle: Announcing to the world that you’ve recently enjoyed a fizzy beverage. Riddle: You’ll see savory dishes in Hong Kong sizzling in these. 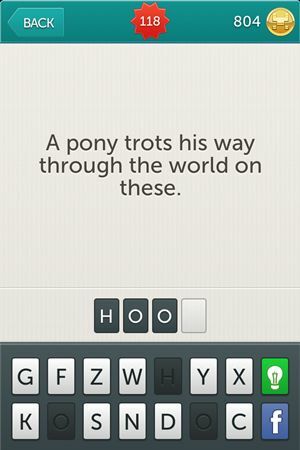 Riddle: A pony trots his way through the world on these. 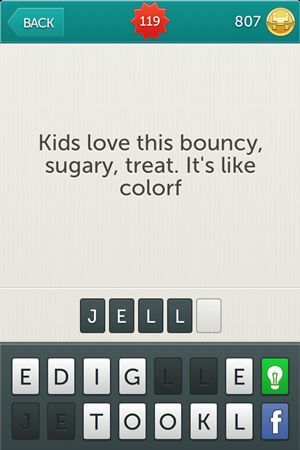 Riddle: Kids love this bouncy, sugary, treat. It’s like color. 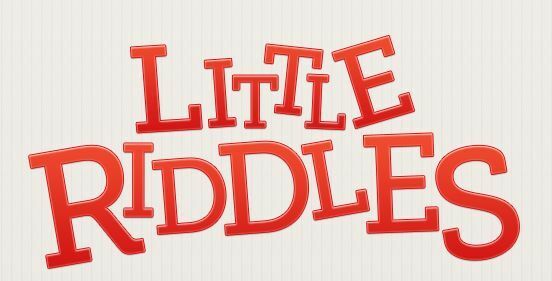 We hope you had a great success with the answers for Little Riddles so that you will come back later for more. We will be here doing our best with the next levels so you can enjoy that too. See you later! Update: We done our job and found the next levels answers for you, check out the Little Riddles Answers Level 121 – Level 150, and keep coming for them.